The Tourism Authority of Thailand (TAT), the main sponsor of the “Thainess Though the Lens of the Master Shot” project which promotes 12 cities under the “Provinces You Can’t Miss” project held a press conference on March 31st, 2015 at the Bangkok Art and Culture Centre. The guest of honor was Mr. Wiwatchai Boonyapak (Director of Marketing, Tourism Authority of Thailand) who welcomed numerous VIPs and other guests at the event. “Thainess Though the Lens of the Master Shot” aims to promote 12 provinces that visitors should not miss. This is a creative activity that will help expand the routes of Thai cultural tourism through the lenses of some of the top photographers in Thailand who recorded memories of their travel to the cities. 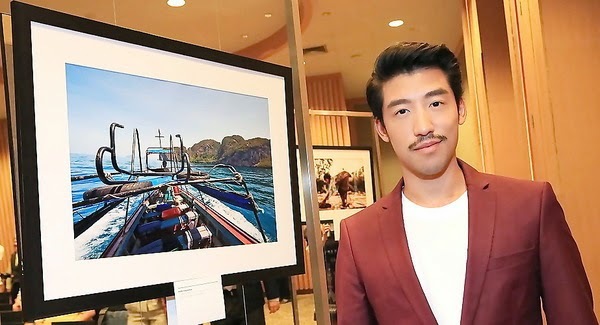 These photos tell of the beauty of the 12 tourist cities thanks to sponsorship from the Tourism Authority of Thailand and the Royal Photographic Society of Thailand. These activities have been managed by Punch Media (Thailand) Company Limited and will help promote the Thai government’s national policy. The policy announced for this year is to be the year of Thai cultural tourism to promote the good image of Thailand to the world, under the campaign “Discover Thainess 2015”.